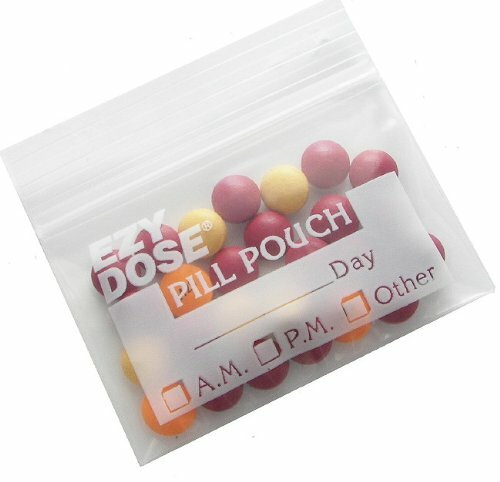 Handy pill bags to organize pills or other small items. Re-sealable plastic pouches can be used over and over again, or are economical enough to use as a disposable product. Marker friendly space for writing brief instructions/details.